List of 20 Different Types of Psychic Abilities & Powers | Do You Have Any? A psychic ability is defined as an extrasensory perception an individual has to predict the future. Contrary to popular belief, every single person actually has the capacity to become a psychic, since extrasensory perception is considered to be a form of intelligence. But not everyone harnesses this ability. Some are more in tune with the spiritual world while some never tap into their psychic potential. There are many different kinds of psychic powers but they all revolve around these 6 main “Clairs,” based on the 6 senses (the sixth sense). The most widely known psychic ability, clairvoyance means “clear seeing,” and involves seeing what cannot be seen by the eye. This could be objects, animals, people, or even spirits. People with this ability can also “see” events, such as those that occurred in the past, those that are occurring in the present, and even the future. Clairaudience means “clear hearing,” and involves hearing sounds and voices that cannot be heard by the physical ear. It includes hearing voices as spoken to by spirits, voices inside the head, from animals, and even sounds that come from inanimate objects. Clairsentience means “clear feeling,” which involves the ability to feel sensations that the 5 physical senses cannot detect in the physical world. For example, you meet a person and you instantly feel the emotion of dread or sorrow. It works in conjunction with aura reading. Clairalience means “clear smelling,” and involves being able to smell a scent that can’t be smelled by the physical nose. For example, a person with clairalience ability suddenly smells the perfume that a deceased person wore at the time of his or her death; or smelling flowers or burnt candles when entering a room even though there are no flowers or candles present. Clairgustance means “clear tasting” and involves tasting something that’s not in the mouth. An example would be tasting blood when you pass by a house where someone was murdered. Claircognizance means “clear knowing” and involves suddenly knowing or having a gut feeling out of nowhere. An example; Having this ability gives you sudden insights about people or events, such as knowing that someone is in danger or that he or she is being watched and each time they have this feeling, their intuition is always right. Astral projection is based on the concept that a person has a soul or spirit separate from the physical body. The ability or experience is also known as an out of body experience wherein the astral body or the spirit separates itself from the physical body and is able to travel wherever it wishes. Astral projection usually occurs during meditation as well as when the physical body is asleep. This ability is based on the concept that every individual has an aura that surrounds them. This aura is seen in colors and is located about 16’ to 18” from the body. An aura is defined as an electromagnetic field that all living beings have, which defines a person’s personality, character, fate, and soul. People who can read auras can immediately tell a person’s nature, whether they are innately good or bad. People with this ability can create written documents that come from the spiritual world. Also known as psychography. The individual loses control of his or her own consciousness and allows spirits from a supernatural source to take over and write on paper what it intends to communicate. One of the types of psychic abilities that can easily be learned and mastered, divination is the process of asking questions and with the use of ritualistic tools, answers are given. Types of divinations include tarot card readings, the use of crystal balls, runes, and spirit boards. Energy healing is a type of alternative medicine wherein energy from a healer is transferred to another person, therefore stimulating his or her natural ability to heal itself. Energy healing can be done with the healer physically touching the patient, or hands off healing where a healer simply places his hands over the patient’s body, and distance healing can also be done where a healer meditates and sends energy to a person not physically present. In today’s world, healing can be done over the phone or over the internet. What’s interesting as well is that practitioners believe that they don’t lose energy when they practice, and in fact, the opposite occurs: they become revitalized after each and every healing session. Mediumship or Channeling is one of the most known and most dangerous types of psychic powers. It involves using your body as a means to communicate with the spiritual world. Mediums allow spirits to take control of their body to be able to communicate in the physical world. The common purpose of mediumship is when people who’ve lost loved ones want to communicate with the deceased for closure. Remote viewing is the ability to gather information about a person or event without that person being present. Those who are developing psychic abilities will find that this is one of the many psychic skills that can be learned and mastered. Information that’s gathered by the psychic is usually not clear and comes in symbols, patterns, or energies and the viewer interprets them. Precognition is the ability to see events of the future. This involves seeing events in their dreams, or flashes of thought. These premonitions are usually random and unpredictably hard to control. One of the most controversial psychic abilities, it is practiced in the Philippines and in some parts of Brazil. The process of psychic surgery involves making a psychic incision on the body and “pulling out” damaged tissues inside the body accompanied by a prayer or chant to the spiritual world. Also known as psychoscopy, psychometry is the ability to gather information about a person when you touch an object that they previously owned. It is based on the idea that people transfer their spiritual energies to objects and leave behind these energies, allowing the psychic to get impressions. Scrying is the ability to receive psychic messages with the use of a tool, such as a crystal ball or a mirror. It is a skill usually mastered by fortune tellers or diviners. Retrocognition is the ability to perceive events that have taken place in the past. Have you ever seen movies wherein a person is able to move objects without having to physically touch them? That kind of psychic power is called telekinesis. It is the ability to move inanimate objects and even living things with the power of the mind. The most popular and common skill shown by those who have telekinesis is bending spoons. Telepathy is the power to read minds, as well as communicating with another person through his mind. It also involves the power to manipulate the other person by sending messages through the mind. 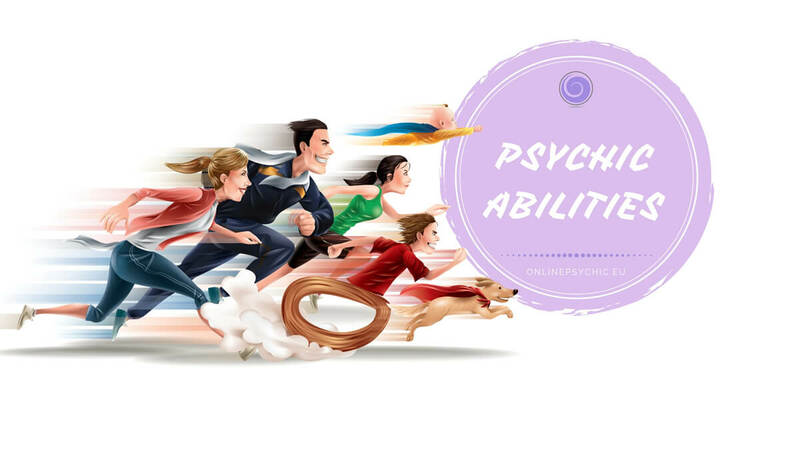 This list of psychic abilities are the most common to date and although there have been no actual scientific proof of such abilities, they are still widely practiced and believed.